Seville is a vibrant and friendly city eager to share many of its cultural traditions including the famous birthplace of tapas (Spanish appetizers), the famous festivals and processions of Semana Santa and Feria de Abril, the picturesque pedestrian streets of Barrio de Santa Cruz (formerly the Jewish Quarters), the nearby Roman city of Itálica (birthplace of three Roman Emperors), the world’s largest wooden sculpture, and much more. It is also the city of Carmen, Don Juan, and Figaro. The Giralda and the Cathedral. The Cathedral of Seville, built in the 15th and 16th centuries, sits on the grounds of what was once major mosque. 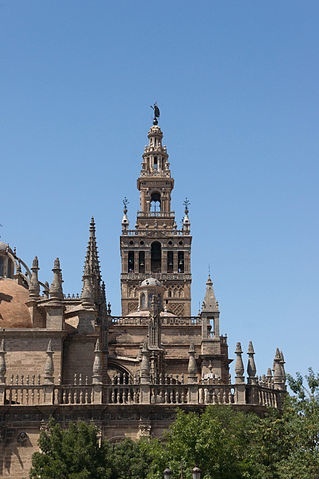 Within the cathedral walls you will find La Giralda, the minaret. Its steep climb is worth doing to capture a beautiful view of the city. It is the third largest Cathedral in the world, and houses the stunning tomb of Christopher Columbus. Facing the Cathedral you will find the elegant Arab palace, the Alcázar. Although construction began in 1181, it took 500 years to build. Predominantly Mudejar-style architecture, the upper levels of the palace is used by the Spanish royal family as their official Seville residence. The Plaza de España is a frequently filmed plaza where all the provinces of Spain are depicted in ornate hand-painted tiles. The Parque Marisa Luisa is a fun place where you can feed friendly doves out of your hands. The Museo de Bellas Artes, founded in 1839, is housed in the Convento de la Merced Calzada which was built in 1602. The collections include art from Francisco de Zurbaran, Valdes Leal, as well as Murillo, Francisco Pacheco, Velazquez, Cano, El Greco and Goya. 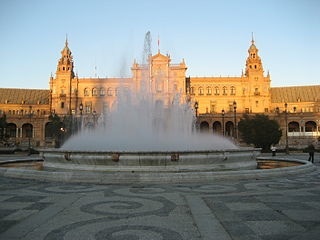 Seville has modern art and architecture that is the envy of Europe. 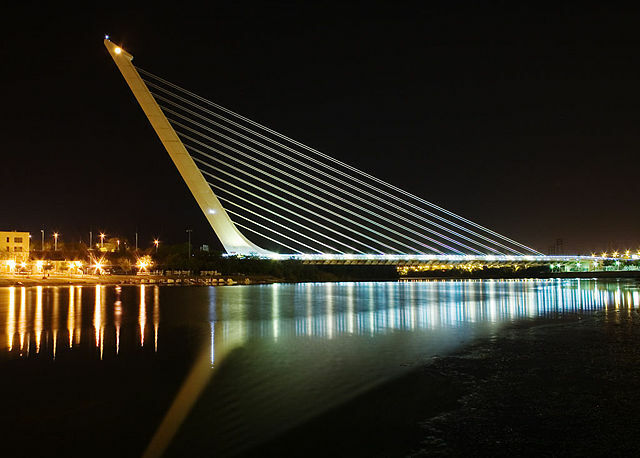 The Alamillo Bridge was constructed for the World Expo ’92 by architect Santiago Calatrava and is an engineering and design marvel. The world’s largest wooden structure, Metropol Parasol, was designed by Berlin architect Jurgen Mayer in 2011. The locals call it Las Setas de la Encarnación (wild mushrooms of the Incarnation) because of its unique modern design. It houses a market and the terrace roof offers another great view of the city. There are so many, many reasons to visit Seville. From the flamenco festivals, to the fresh and local cuisine, we could list them all here but where’s the fun in that? Come see for yourself. So pack your bags and head to Sevilla, but be warned…. you may not want to come home. Come celebrate the world with Conexus International as we showcase the best the world has to share. Your blog always has such amazing places and photos. It gives me the itch to travel really bad. I would love to visit all of those places! Very interesting post, thanks for sharing!